PDFelement Pro 6.7.12 – Create, edit, convert, sign, and perform OCR on PDF files. 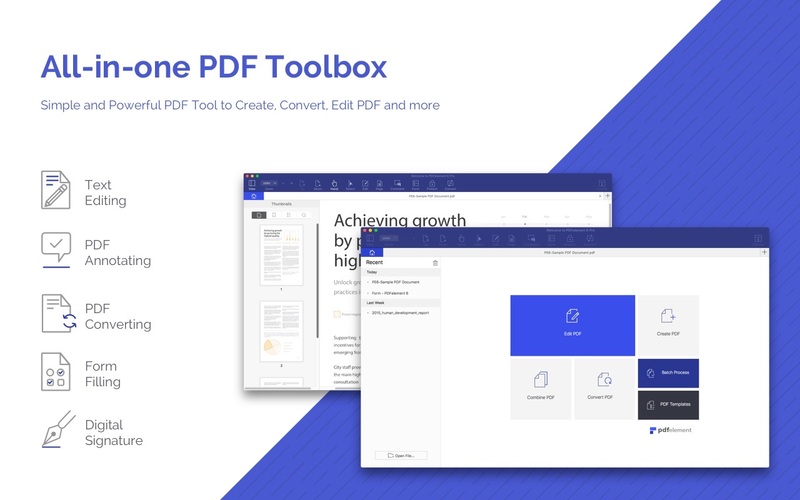 Wondershare PDFelement is a self-explanatory OS X application that makes it easier for your to preview, edit, join, split and convert PDF documents using a Mac. Wondershare PDFelement’s top toolbar helps you hide, show and customize the sidebar in order to display the items and information you are interested in. In addition, you can browse through the loaded document, zoom in or out, print it or email it with just a couple of mouse clicks. Next story ZOC Terminal 7.22.2 – Telnet/SSH/SSH2 client and terminal emulator. Previous story Infographics Templates for PPT 1.2.3 – Visualization graphics for PPT. PDF Expert 2.3.2 (494) – Read, annotate, fill, and sign PDF’s.